Both chambers hope to have certain fixes in place before students return to school in August. Two days after Gov. Greg Abbott released a 40-page school safety plan, Texas House and Senate leaders ordered their committees to study ways to limit shootings and increase protections in Texas public schools before students return in August. After a Santa Fe High School student went on a shooting rampage last month, Abbott released a list of suggestions for preventing future massacres. Some are possible with immediate funding; others need future state legislation. 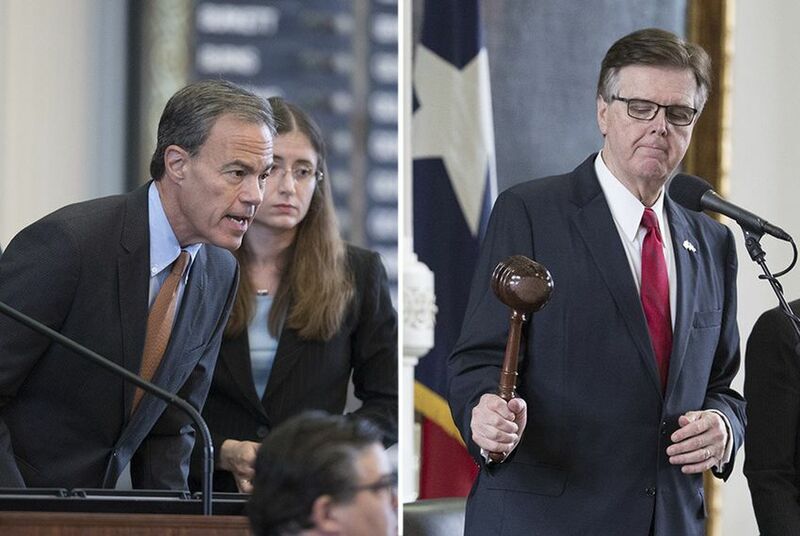 Outgoing Texas House Speaker Joe Straus and Lt. Gov. Dan Patrick, both Republicans, asked lawmakers in their respective chambers to study many of the suggestions in the governor’s plan. Straus tasked several committees with seven charges, including reviewing schools' emergency operations plans and targeting mental health strategies for children. "The Texas House will be prepared to act promptly and decisively to improve school safety," Straus said in a press release. Patrick asked a Senate Select Committee on Violence in Schools and School Security to look into the benefits of “red flag” laws, which allow for the temporary removal of firearms from someone who poses an immediate danger. The committee will also study putting armed teachers and police officers in schools, identifying students who are at high risk of causing violence and changing the design of Texas schools to be less susceptible to mass shootings.